A sleek and luxurious penthouse, overlooking the shimmering waters and picturesque shorefront of Loch Fyne, has come up for sale. 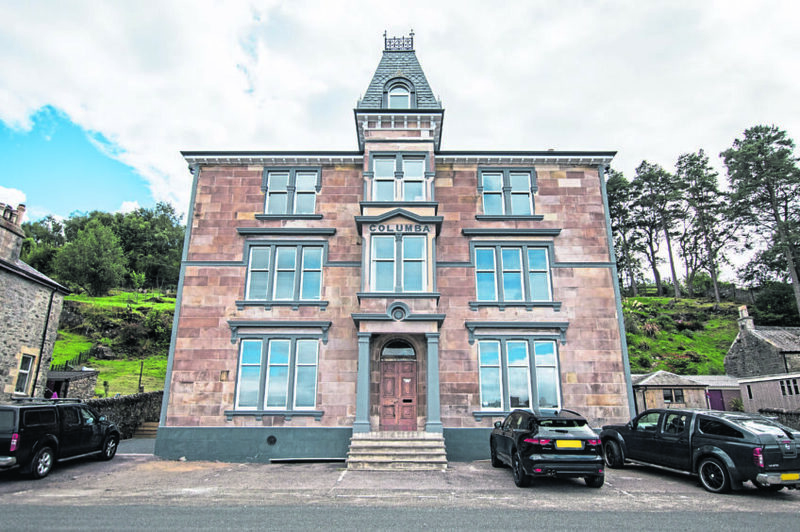 The apartment, housed in the former Columba Hotel Development in Tarbert, blends history with modern style and offers buyers the utmost in splendour and comfort. Part of the exclusive selection of premium apartments within this charming, C-Listed, four-storey building, this fabulous home occupies the entire top floor and is of a very high spec and includes a private lift and staircase. It’s on the market with Bell Ingram at offers over £260,000. 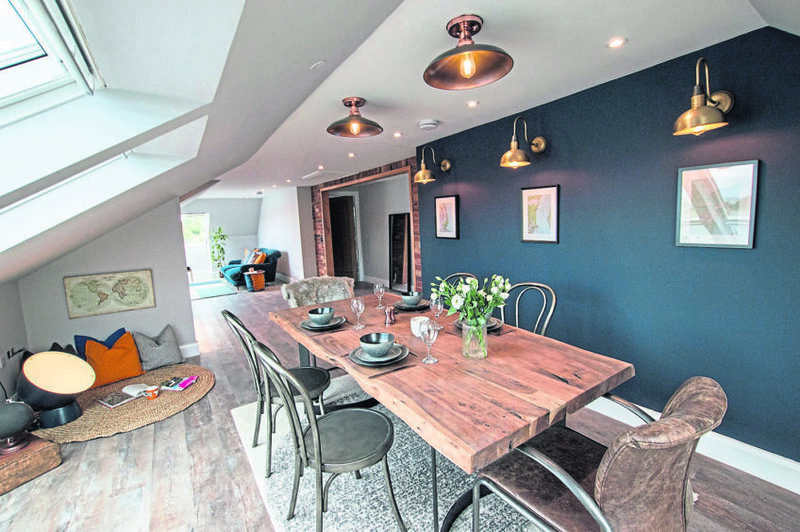 Andrew Fuller, estate agent, said: “The attractive interiors of The Penthouse, coupled with the picturesque, tranquil surroundings of the area, make for a really desirable home. “The apartment is stylish in its minimalistic design, with every small detail and fitting adding to its exceptional character. “The wooden floors and bright walls are accentuated with copper accessories and the entire warm look is completed with dark, contrasting accents giving the interior a chic and classy finish. “All of this is emphasised by multiple, large windows, fashioning a fresh and cosy atmosphere by bathing all of the rooms in natural light. Bringing together nicely, luxury and functionality, the accommodation includes an open-plan lounge and dining room accented with a striking brick wall. Next to the living room and within the walls of the sophisticated mansard-style roof architecture sits a stylish kitchen. The master bedroom has an attached, modern en suite bathroom, with a large freestanding bath and a walk-in shower. A second double bedroom and a family bathroom complete the accommodation. Its appeal also lies in its convenience of storage space, with the advantage of a private, dedicated landing, a functional utility room and a store room. Access to the building is made via the keyless entrance into a ground floor lobby and the owners will benefit from two dedicated parking spaces which include charging points for electric vehicles. Additionally, an elevated decking area has been built at the rear of the building, offering residents a peaceful place to relax and enjoy the serene surroundings. 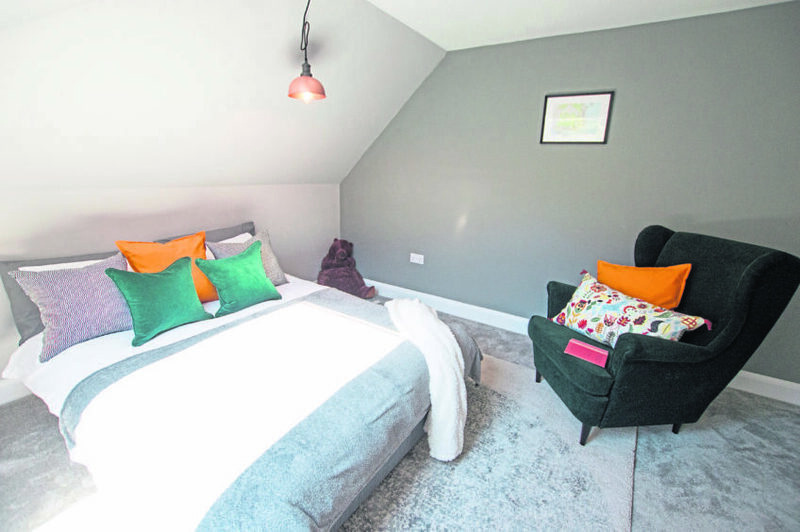 Andrew said: “The Penthouse’s location is within easy walking distance of Tarbert town centre and a stone’s throw away from the water’s edge, allowing buyers to take advantage of the best of Tarbert’s amenities and entertainment. “Tarbert is very popular with tourists, especially for its harbour and the outstanding yachting marina. There’s also a great selection of cafes and restaurants serving local food. “This town is not short on entertainment. 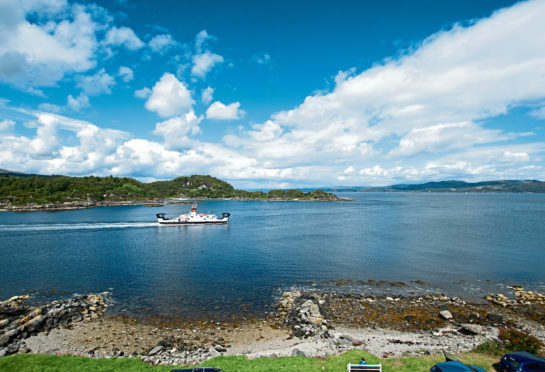 “Field sport enthusiasts will love the area as it offers numerous opportunities for fishing, stalking and shooting – and don’t forget in the summer, Tarbert is host to Scotland’s largest sailing regatta, the Scottish Series.